> What is the Best Rated Space Heater? When trying to find a space heater for your room, it can be quite the challenge. You have to ask: which type of heater do I need? Where would I put the space heater? How much space will it heat? What is the safest space heater? What is a space heater? Well, a space heater is usually run by an electric current to help deliver heat to an enclosed room to keep you warm and comfortable. 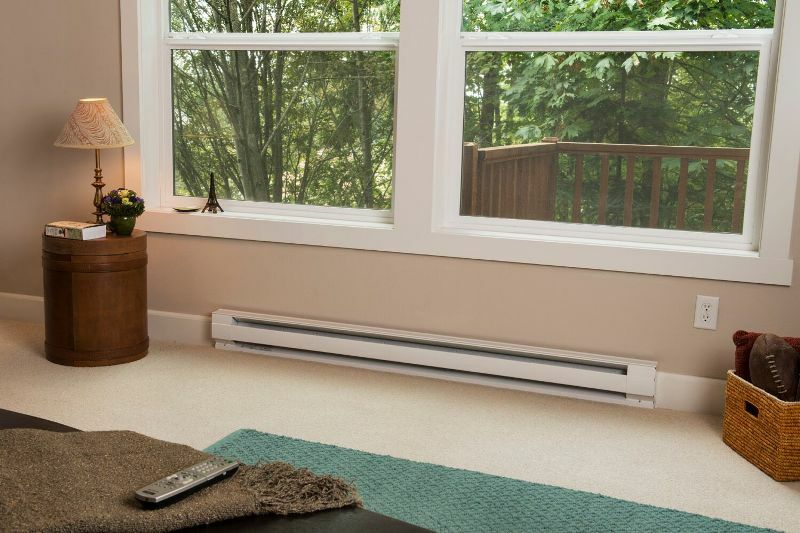 Typically, a room heater helps provide additional heat while also reducing heating bills. A space heater mainly heats a single room or small area and a lot are electric space heaters, making them easier to operate! So, now that you know the names of the major space heaters, let’s find the best space heater that fits your needs! Ceramic heaters are easily portable and are fan-forced to help distribute heat into a room. This electric heater heats a room quickly and often has advanced features including: a timer, digital controls, or a digital thermostat. Because they conserve energy and are an energy efficient space heater, you won’t need as much heat. These heaters are ideal to use in places such as large rooms, warehouses, rooms in a home, as well as be used as a garage heater. Radiant and infrared heaters are completely different from convection and fan-forced heaters. Because they radiate heat forwards onto objects, they are not made to heat the air in a room, but rather the objects in it. This way, energy is not wasted. This type of heater is only suitable for heating small areas, but it provides fast and instant heat when used properly. These heaters are also energy efficient and will help decrease your heating bill. Wall heaters are different than other space heaters because instead of being portable, they are wall mounted near the baseboards in a room. This electric heater is child and pet safe because it is cool to the touch. The heater operates quickly and can heat up a room in minutes! This room heater often comes with an optional thermostat to help regulate the temperatures in the room which makes the heater easy to control. A convection heater is a great portable heater to have because it requires low maintenance and doesn’t need to be refilled! It is perfect to use in all rooms, though as it heats your room, the heater itself becomes hot and not safe for children or pets to be near. Although it takes a long time to warm up, they are easy to use and provide an even heat once warmed up! This micathermic heater thin portable heater is a great hybrid heater using, on average, 80% convection heat and 20% direct radiant heat. Some may say this is the best space heater because it is lightweight, silent, and is beneficial to those with allergies! The heater uses the airflow in a room to circulate heat without having to recirculate dust or any other allergen in a room. Though it is hot to touch and is not children or pet safe, a protective guard can be used to keep them out of harm’s way. These heaters are ideal to use in places such as offices, bedrooms, bathrooms, or other small rooms. Q: Is it safe to leave a space heater on overnight? A: No! If you were to leave your space heater on overnight, it may be a potential safety hazard. Not only this, but it can also dry out your nasal passages which can cause discomfort or a cold. Q: Can you leave a space heater unattended? A: No! Especially if your space heater is warm/hot to the touch, you should not leave the heater unattended or around children or pets. They are easy to use because they plug directly in an outlet, but make sure you un-plug your space heater or portable heater when you leave a room. REMINDER: Make sure to plug the heater into a socket and not an extension cord or power strip. In doing this, you may start a fire! Do you use a space heater in your home? If so, which type? Do you think portable heaters are beneficial? Make sure to answer in the comments and connect with us on our Facebook and Twitter page! What Temperature Should My Heater Be Set at to Keep Warm and Save Energy?